It seems pretty crazy that Sony is dropping their own processor. I guess they want only the best of the best because this gaming system will have to stand up for the next 5+ years. I wonder what Sony has in store for us. 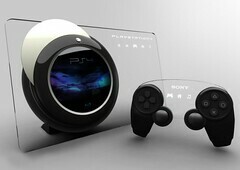 Whatever their decision may be I will be sure to pick up a PS4 as soon as it hits stores. This entry was posted in Technology Devices, Video Games and tagged Advanced Micro Devices, Cell, Kotaku, Phantasy Star IV: The End of the Millennium, Playstation, PlayStation 3, PlayStation 4, Sony. Bookmark the permalink.